Since we are leaving for Essen Spiel Essen 2017 in exactly two weeks time, well we will already be on our way, here is my own personal notes on what I'm going to be picking up, buying and checking out. This is a reprint of Capstone Games 2013 release, but it seems it’s impossible to get any of their games here in the UK. 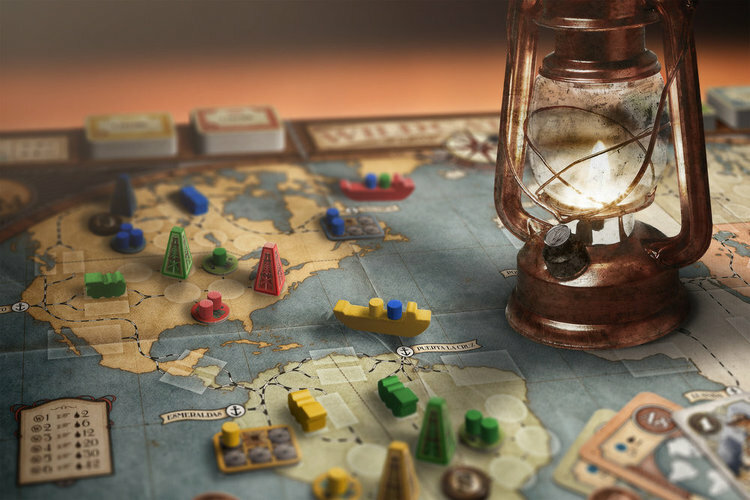 Set in the 19th Century you are oil barons trying to develop oil fields, refine it and transport more than other players. Loot Island - What’s Your Game? WYG? Have never let us down. While this seems slightly lighter fare from them than normal, it was a mere twenty euros so well worth a risk. This does have a co-op element but overall is a competitive game. Hopefully it’s the pirate themed game I finally fall in love with. We love train games! 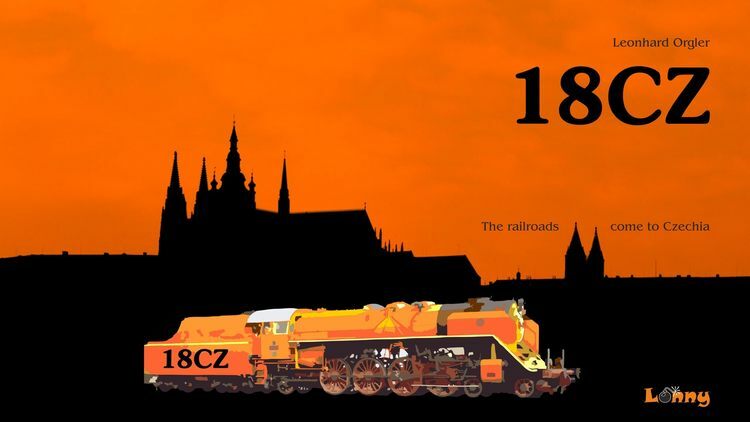 This seems to pack much of the feel of an 18XX (stock buying, track laying) into a game that plays in under an hour. Beautifully presented and a bargain price too - what more could you want? 7 Wonders is a guilty pleasure in our house, it’s a great filler game and it plays up to a massive seven players! We currently own every expansion and promo there is for it, so this is an insta-buy! This was a bargain price for a mid weight game that had a tonne of stuff so I couldn’t resist. It looks like a big game in a small box. Each player is a Clan leader trying to do the best they can whilst also messing with their opponents. A worker placement game that also has some secret unit deployment. 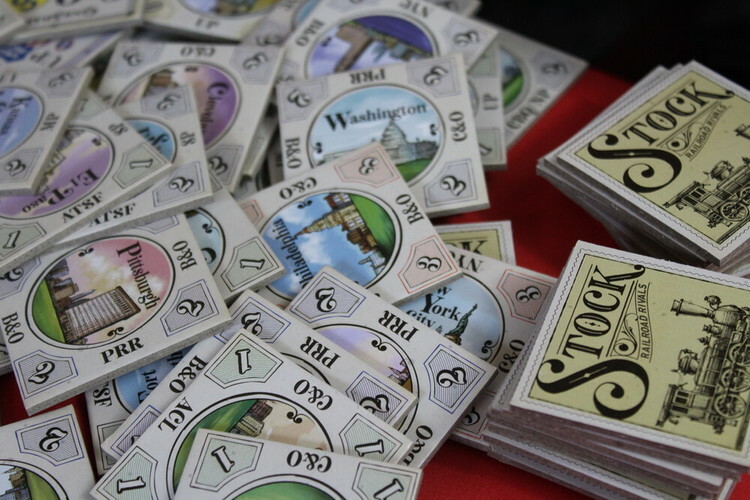 Phil Eckland is well known for his Pax games, all of which are big games in small boxes. In Bios: Genesis players start the game as organic compounds shortly after earths formation. This is essentially Evolution extreme! After just seeing the miniatures, I am in love with this game! Influenced by true old school horror the figures are a delight (and I’m really not into minis!) This will be kickstarting on Halloween but I shall be looking at a preview copy at the show and reporting back. Do I really need to say anything about this? Finally they named a game after me! Collecting cats, cute outfits, toys and food, really what’s not to love? I know this will be a simple little card game but I always need to add to my ever expanding cat game collection. It’s a bit of a cheat to put these as one entry but it’s tough to talk about them without giving much away! We’ve played all the currently available scenarios for both games and really enjoyed them all. Yes, you only get to play them once but they are a bargain price and a lot of fun. Rob has developed a love for Lonny Orgler since Russian Railroads! While we love 18XX, we don’t always have the time needed with our regular group for them so an 18XX with a good 2 player rule set is exciting for us. And yes, it’s another train game - who doesn’t need more trains in their life? Two words - Stefan Risthaus! Despite this being a small card game you know it will have some clout behind it, and at a bargain price it would be rude to ignore! In your turn, you may pick a group of commodities or a building and then build up to three buildings. Depending on where you build though, your commodities will have different values. So, a lot of us have been waiting for this one! I already own three of the ‘big five’ Splotter games and love them all, so this really is another no brainer for me. Beautiful quality, heavy, economic gameplay, everything we have come to expect from Jereon and Joris at Splotter Spellen. 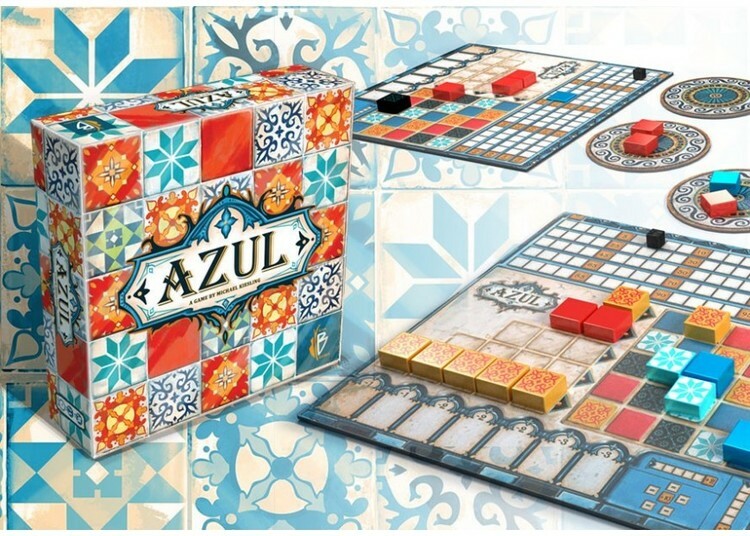 Plan B Games came storming into the scene earlier this year with Century: Spice Road, Azul is their newest offering. I’m not a huge fan of abstract games but it’s also listed as a tile placement game which we are fond of. This looks so pretty and will hopefully have a similar production quality to Spice Road so I shall be taking a look for sure! I’ve played and enjoyed a few games of this but am really torn if we need more ‘filler’ games in the house. Love the big wooden, chunky pieces but am torn at the price point. Think I’m going to see if we can get a game in over the weekend and see what Rob thinks and go from there. I know it won’t be easy to pick up unless I grab it here though. Not sure how to feel about this one. We love the original London, and after seeing the super shiny new Brass I was hoping for something similar for London. However, the removal of the board and the area ‘cards’ seems to take a lot away from the game. Hopefully, I’ll get a play in and be proven wrong. From first time designer Sophia Wagner, Noria is a stunning looking game with an innovative mechanism called ‘wheel building’. She created an entire steampunk universe that has been beautifully translated to game form. Really looking forward to seeing something new and exciting. More worker placement, I’m a sucker for it! Players are cloth merchants in medieval Florence, producing and delivering cloth to contribute to the construction and decoration of the city. 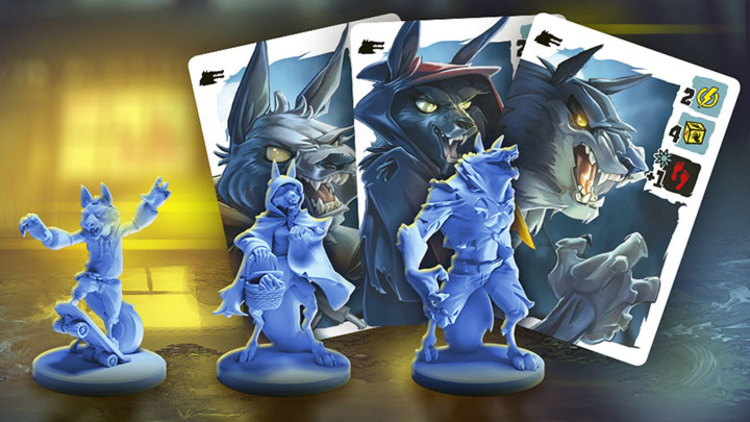 Nice theme, nice looking artwork and a modular board, all of which excites me! I love Scythe! I didn’t expect to but when I finally caved I thoroughly enjoyed it. This new expansion adds steam powered airships and a resolution module that changes the game end conditions. Only trouble is, this won’t fit in my beautiful Meeple Realty insert. Really excited by all this is going to add to an already excellent game. Concordia is one of my top five games. It’s elegant, streamlined and perfect for school-night gaming, yet it continually has enough strategy to keep the most seasoned gamer engaged. Yes, we already have a lot of maps for Concordia but this will be an insta-buy! Take a look at the full list of Essen 2017 Releases to find out prices and locations across all of the halls. As we're sure you appreciate it costs considerable time and money to maintain I Play Red. If you like what you read and see and would like to help us improve and continue bringing you great content on new and upcoming board games, bringing you exclusive content for Patreons only please consider joining us at a minimum of $2 a month. We'd love to welcome you aboard our Patreon. Whether you're a Patreon or not we'd love to hear what you think please feel free to comment and share our content.